Today we’ll close out the NFC by taking a look at the NFC Southern division. This Division could get interesting. I believe three teams have a legitimate chance to win it. Last season, the Falcons won 13 games, the Saints 11 and the Buccaneers surprised a lot of people by winning 10. Then, there’s the Carolina Panthers, who won two games… Like I always say, someone has to finish last in every division. On with the preview! Despite their abbreviated playoff run last year (as the #1 seed), I think the Falcons are too good to not repeat as division champions in 2011. First of all, they have Boston College product Matt “Matty Ice” Ryan at QB. I’m not just saying this because he went to BC, but he’s proving to the league that he’s the real deal. Last year, in an offense that gears itself mostly towards the running game, Ryan threw for 3,700 yards and 28 TDs. Roddy White is back after a career year in 2010 (1,379 yds and 10 TDs), and now he has help from rookie wide receiver Julio Jones (they traded up to take him with the 6th overall pick). Jones will compliment White very well, and help to keep him from getting worn out like he did last year. If the receivers aren’t open, Ryan has the option of throwing to a future Hall of Famer in tight end Tony Gonzalez, which isn’t a bad alternative at all. At running back, Michael Turner is back too, looking to put together another dominant work-horse season (he’s led the league in carries 2 of the last 3 years). Defensively, Yahoo ranked them at #9 at the end of last season, and not a lot of personell have changed. They won’t allow too many points, and they’ll cause a lot of turnovers. My Prediction: 13 Wins again, maybe another clash with the Packers in the playoffs. Fantasy Sleepers: Harry Douglas, WR. Harry is taking over the slot receiver position from the departed Michael Jenkins. If Jones struggles, or anyone gets hurt, Ryan will turn to him. Fantasy Poision: Absolutely no weaknesses here as far as fantasy football goes. 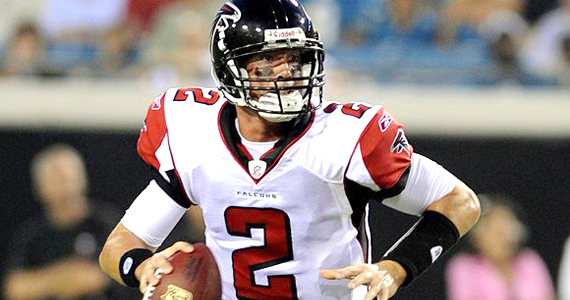 Can freeman bring Tampa Bay to the Top of the NFC South? Sorry, Saints fans, but the Bucc stops here (see what I did there?). The Buccaneers went from 3-13 in 2009 to 10-6 in 2010. Even though they kind of came out of nowhere, I see no reason why they shouldn’t improve further in 2011. 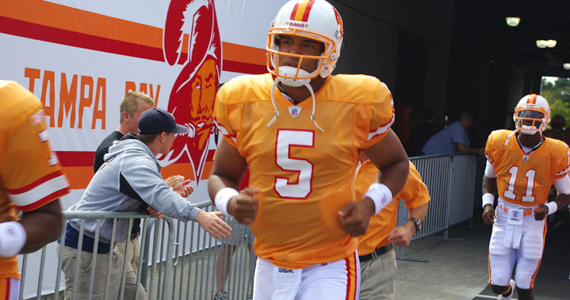 Pay attention here people, Josh Freeman might just be the real deal. Last season, at age 23, Freeman showed poise and maturity well beyond his years, throwing for 3,451 yds, 25 TDs and only 6 INTs. 6! He also ran for over 350+ yards, which could be a nice little boost to your fantasy team too. Unfortunately for Freeman, the receiver picture is a little spotty for Tampa Bay. Mike Williams (yes another Mike Williams) went for 964 yards last year, but he’s just a second year starter with a lot to learn. The same goes for the other wide out, Arrelious Benn. If those two don’t step it up, Freeman can always throw the ball to Kellen Winslow (my fantasy team hopes he does), but it will be important to the offense for the wide outs to continue to mature and grow. At running back, the Buccs have 2010 surprise LeGarrette Blount. Bount, despise not being particularly powerful or fast and only starting seven games last year, still ran for 1,007 yards and 6 TDs. As a bonus, he didn’t punch out an opposing player during a game, so I guess if it ain’t broke… The Tampa Bay defense is another story. Last season, they gave up too many points (306), were 2nd to last in sacks, and only forced 28 turnovers. For them to be considered helpful in fantasy football leagues, this will have to improve. Unfortunately, not a lot has been done to make the D significantly better. The hope is that their young DL will grow and be able to help overcome the possible suspension of DBs Aqib Talib. My Prediction: 11 Wins, playoffs? Fantasy Poision: The Defense is not at the level it needs to be to make them a super bowl contender. Can Breesus bring the Saints back to the promised land? 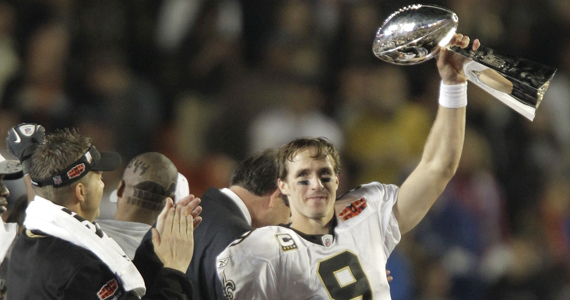 Let’s face it, America… we’re kind of over the New Orleans Saints. It was cool when they won the Super Bowl, I had a Reggie Bush t-shirt (still do) and Breesus was our homeboy. The time for them to go back to being a normal team is here, and it’s gonna happen in 2011. That being said, the Saints are still a very solid all-around team. Any time you have Drew Brees throwing the football (4,620 yards, 33 TDs), you’re gonna be ok. Brees has a plethora of weapons at his disposal in Marques Colston, Lance Moore, Robert Meachem and company will catch a lot of passes from Brees again this season. The RB battle should be interesting. Pierre Thomas (so French) will start the year at the top of the depth chart. I don’t think he’ll last there long, although not because of anything he’ll do wrong. He’s just not nearly as talented as rookie RB Mark Ingram. By season’s end, Ingram will be getting most of the touches. Also, the Saints got rid of Reggie Bush, making my t-shirt completely irrelevant, so thanks for that. Defensively, the Saints were very much a middle-of-the-pack kind of team last year. They added a little bulk to the D-Line this year, but I wouldn’t make their D your first choice on draft day. My Prediction: 10 Wins… still a very good season, but not good enough. Fantasy Sleepers: RB Mark Ingram… he’s gonna be a good one. Fantasy Poison: Other than the D, I would stay away from Pierre Thomas. He’s not that good when he’s healthy, he won’t stay healthy, and Ingram is knocking on the door. Not a lot to say about the Panthers here. They only won two games last year, and are bringing back virtually the same team for 2011. The one huge difference is at the QB position. In 2010, the Panthers drafted Jimmy Clausen (Notre Lame) in the 2nd round. Apparently they didn’t like what they saw from him on the field last year (58.4 QB rating), because this year they took ultimate prospect Cam Newton with the first overall pick. Although Newton is probably taking a pay cut to play in the NFL (badum..pshh), he has been starting in the pre-season. This probably means he’ll be starting in the regular season. 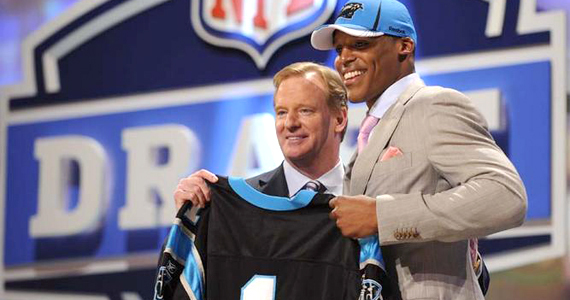 Newton will provide a lot of excitement in 2011. Unfortunately, he’ll also provide a lot of headaches and inconsistent play. Is he the future? Only time will tell. Wide receiver Steve Smith is back, assuming a 13-year old doesn’t break his arm again, and tight ends Greg Olsen and Jeremy Shockey join Newton’s receiving core. Neither tight end is a game changer, but a healthy Smith will help Newton a lot. Running back DeAngelo Williams is back and healthy, which means he could get back to the 1500 yards he put up two years ago. He has only played 19 games the last two years combined though, so it’s a good thing they have Johnathan Stewart to take the reigns if anything should happen to Williams. Defensively, the Panthers are a bit of a mess, ranking 27th in 2010 according to Yahoo. They allowed 378 points last year… that won’t change. That’s the only notable stat their defense put up last year, and it’s not a good one. My Prediction: 3 wins…. but they’ll be exciting last-minute wins… ah? Fantasy Sleepers: Shockey or Olsen… young QBs need tight ends to dump to. Fantasy Poison: Where to begin… Cam Newton, Defense, their other receivers… everyone.